I am delighted to be officially launching my new podcast, Mummy Jojo UNCUT, Mojo injection tomorrow on the 4th of June. The book shall be published shortly after on 18th of August. 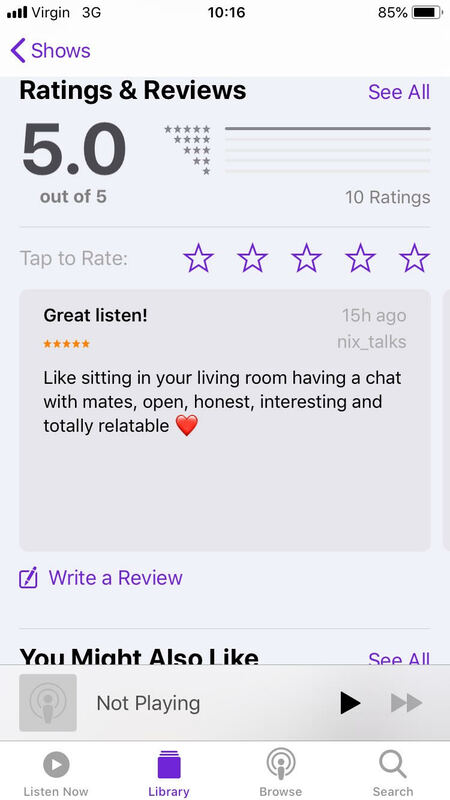 The podcast will involve some unashamedly uncensored discussions around lifestyle and mental health, with a desire to continue to smash the stigma of many taboo topics. Whilst the mental health stats can be terrifying, things are changing. 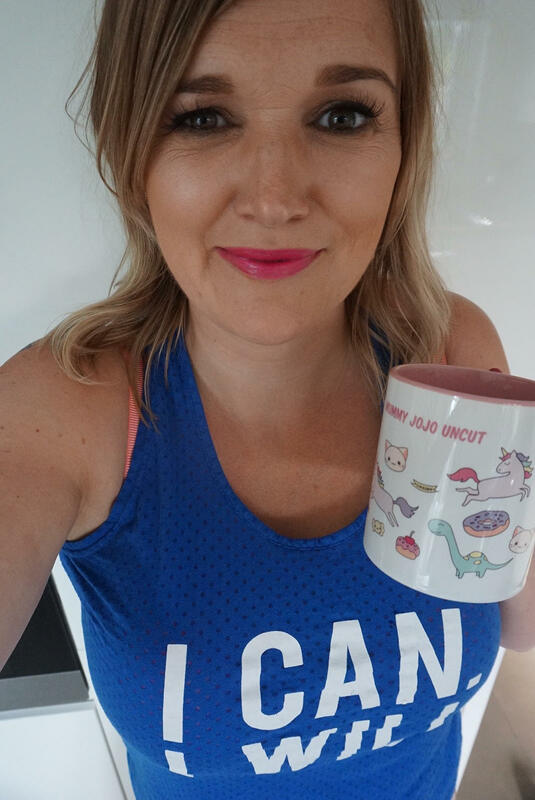 We have an incredible community of charities, bloggers and public figures in the UK who are working hard to shake things up and smash our stiff upper lip culture. I feel extremely honoured to be part of that community. Episode 1 which you can find here comes with a bit of a twist and is a little more uncut than the others (the kids hop on to say hello and Hubs is involved which means the tumble drier may have snuck into small parts). We love to smash gender stereotypes over here. Less dreaming more cleaning? Never! We talk very openly about a number of issues, including the time Hubs struggled with a gambling addiction. We also talk relationships, 7 year itch (which is coming our way this September), trust and juggling family life. All podcast episodes finish off with some karaoke singing because at Mummy Jojo, even though we cover some very serious topics, we love to have fun. Music has always been a bit of a mojo injection for me and I love seeing people let loose and get lost in it, even if their mojo has gone way out of town. Music heals as does sharing. I have loved every single discussion so far and am so excited about the others booked in. There have been tears but there has also been so much laughter and learning and of course a big fat mojo injection. We always feel a bit lighter at the end, it’s a little bit like therapy. Except we share it with anyone who wants to listen. You can find the podcast on Itunes and the Podcast app, Acast and shortly it shall be on spotify. I am delighted to have picked up some 5 star reviews already. Please, please keep them coming so that more people find it. 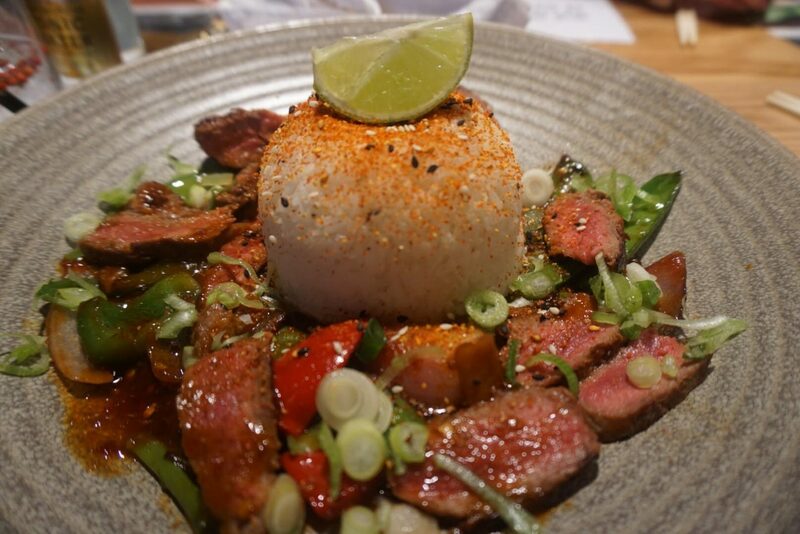 I am delighted to be partnering up with Wagamama who are kindly sponsoring the podcast launch in the St Andrews Square restaurant in Edinburgh. I shall be giving a quick talk about my vision for Mojo injection and what helps us with our mojo when it is prone to going for a walk or a marathon. 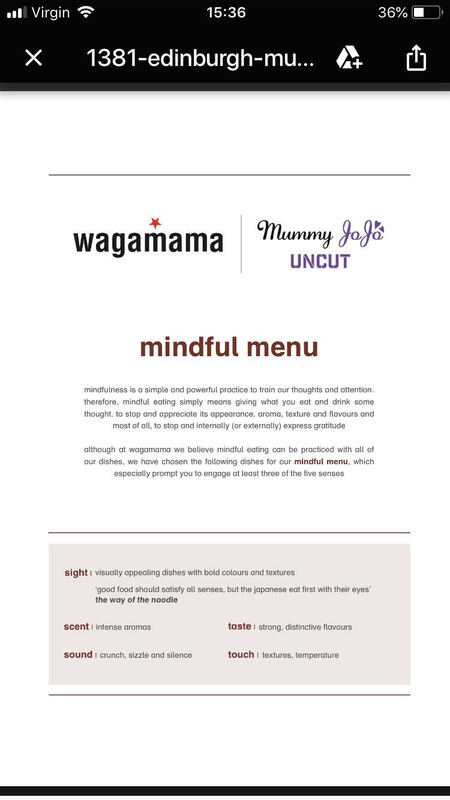 The team at Wagamama shall also cover some mindful eating. Mindful eating is something I have struggled with over the years and Wagamama is the first place I made the effort to use chopsticks, after some persuasion from my brother. It is great to see a national brand take such a positive approach to eating and mindfulness. 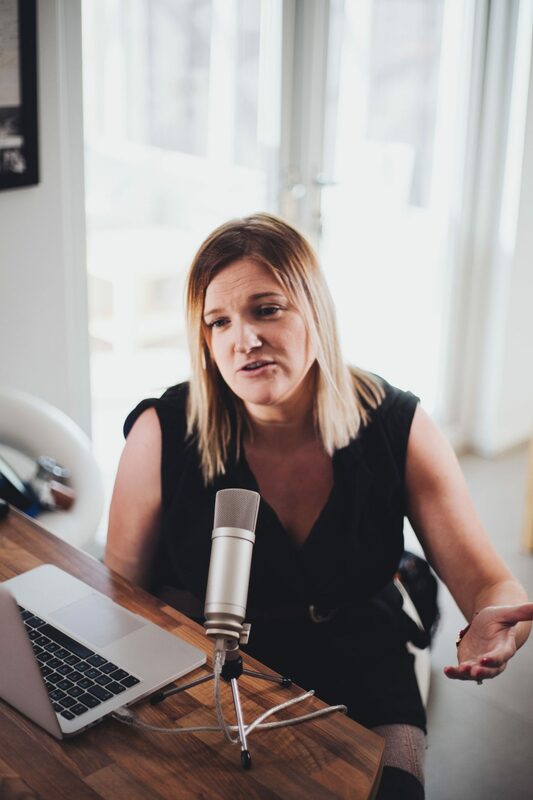 I initially started speaking to them after visiting with my family, after which they offered my father who is hard of sight a brail menu and from there our mutual approach to all things mindful just flowed; it felt like a natural partnership. I want to thank everyone who has ever encouraged me in all the work I am doing, it feels amazing and I never ever take it for granted. 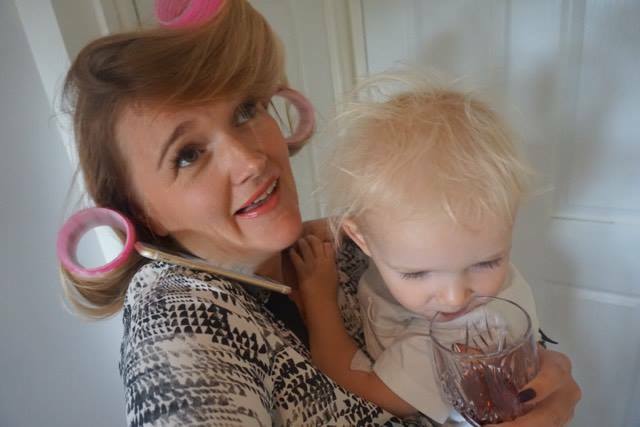 If you would like to come on the podcast, please drop me a message at mummyjojoblog@gmail.com.